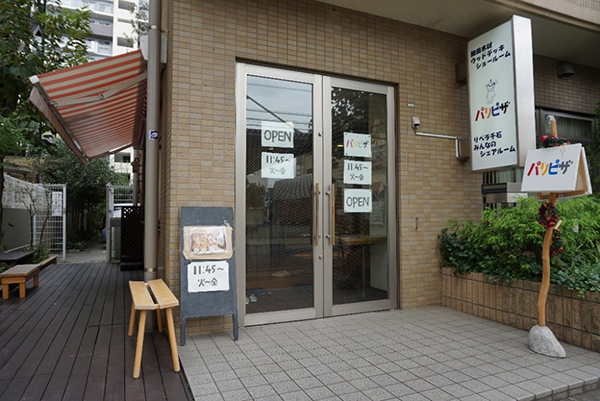 If you happen to be around Kiba-koen park at lunchtime and fancy a warm and tasty snack, then head out two blocks east from the park to Sengoku 1-chome. There you will find Paris Pizza operating from a shared space. 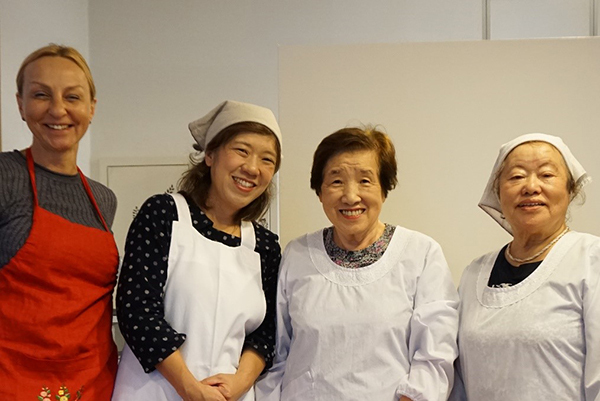 From Tuesday to Friday, between 11:45 and 13:00, a small group of ladies can be found busily preparing and serving helpings of delicious doughy pizza. 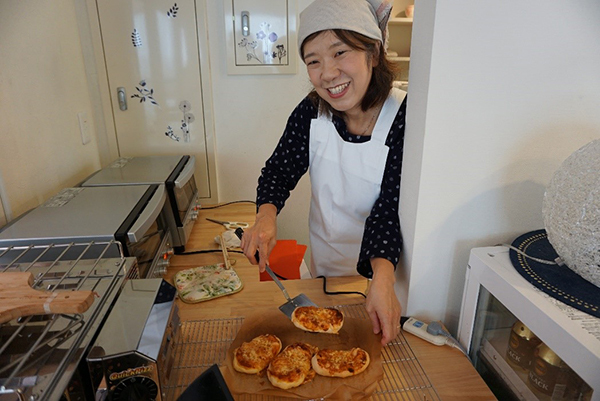 Paris Pizza is run by Mrs. Mari Takahashi, a cheerful, energetic lady, who seems to be always on the move. 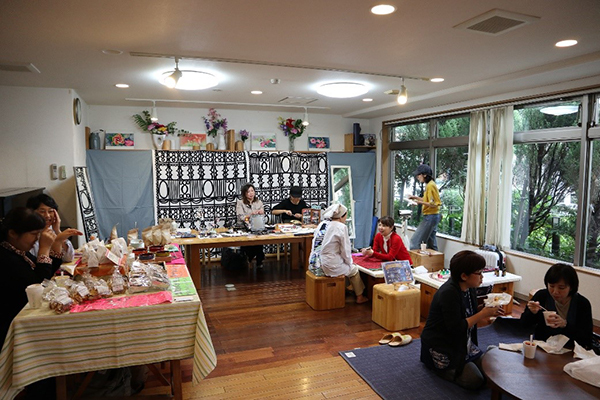 She is ably assisted by two lively octogenarian poster girls (“kanban musume” in Japanese), Haruko, and Hiroko; the former Mrs. Takahashi’s mother and the latter Mrs. Takahashi’s sister’s mother-in-law. And to complete the cast, they are joined on Tuesdays and Fridays by a charming Ukrainian lady, Mrs. Oksana Tkachova. She serves up a delicious bowl or cup (you can take your pick) of borsch on the days when she isn’t running a yoga class in this shared space. 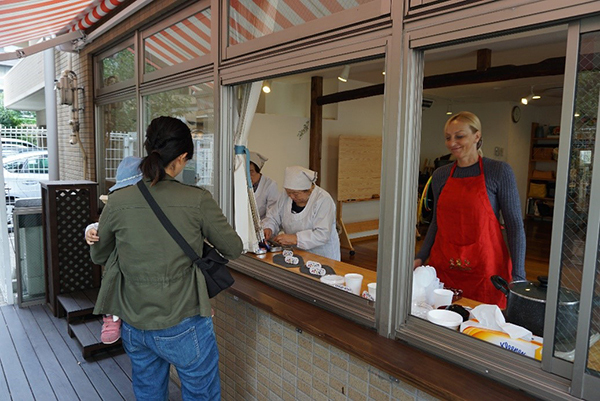 Whilst Mrs. Takahashi is busy preparing the pizza base and the toppings, Haruko or Hiroko, depending on the day, takes orders from customers who stroll up to the window or step into Paris Pizza. In nice weather, there are benches outside where you can sit and wait for your piping hot pizza to appear, and then relax whilst biting into the savoury toppings and lovely chewy pizza base. 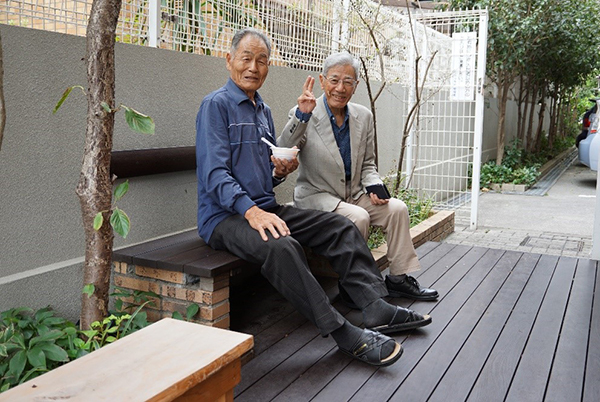 Or you can step inside and sit yourself at the beautifully-made heavy wooden stools and table which face the studio window. 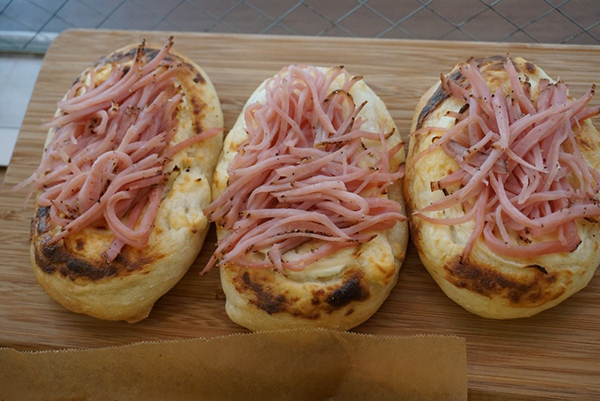 And every two weeks there is also curry pizza. 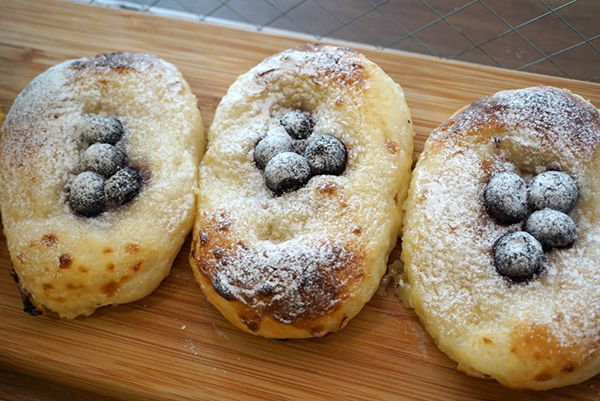 At 150 yen each, these are excellent value for money. 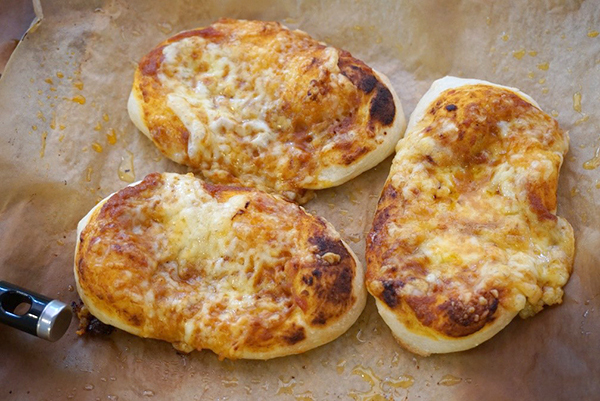 The toppings come hot and full of flavour, whilst the pizza dough is crispy on the outside and soft on the inside. 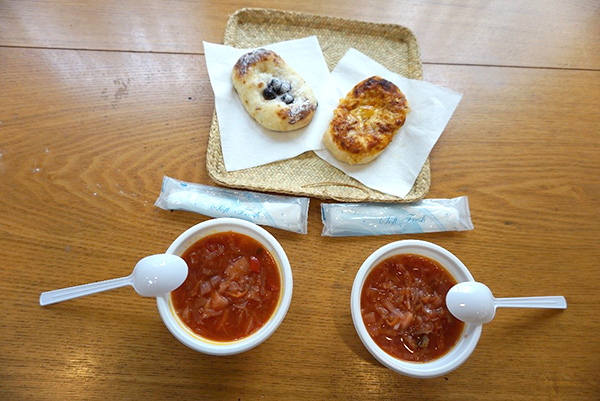 There are also cold drinks on sale, but if you happen to visit on one of the days that Mrs. Tkachova is around, why not try her home-made borsch soup instead? Made from beets, cabbages, potatoes, tomatoes, and spices, it has a mild sweet flavour and the vegetables are crisp and tasty. Delicious! Whilst I was there, I was joined by a young man who works for an insurance company. 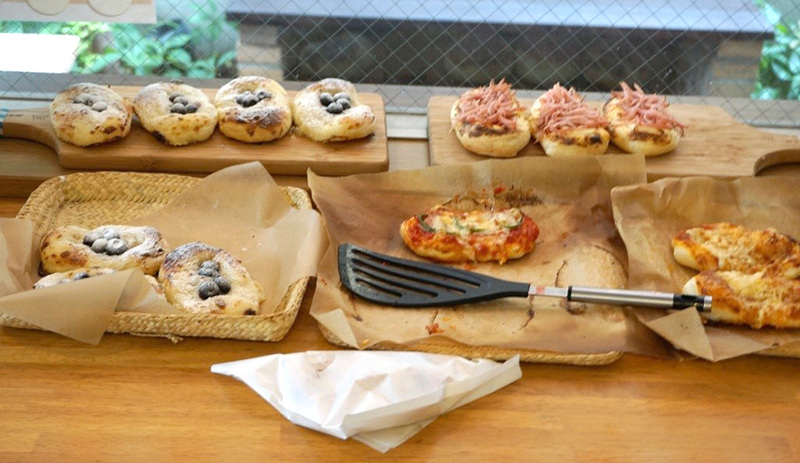 Between bites of his pizza, he confided that he likes coming to Paris Pizza as an alternative to buying his lunch at a local convenience store, because of the taste, the prices, and the relaxed, homely atmosphere. 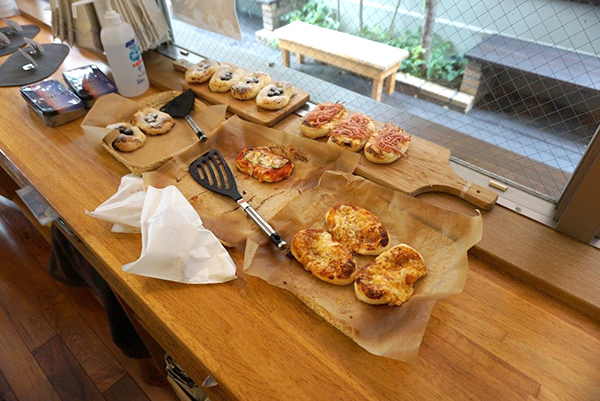 During a short break between customers Mrs. Takahashi sat down and explained why she chose the name Paris Pizza. She has wonderful memories of the period she spent as a teenager in the French capital with her elder sister, with whom she opened the shop in October 2017. Even the pizza reflects her love of France: the blue, white and red of the French Tricolour are represented respectively by the toppings of blueberry, ham and cream cheese, and tomato. 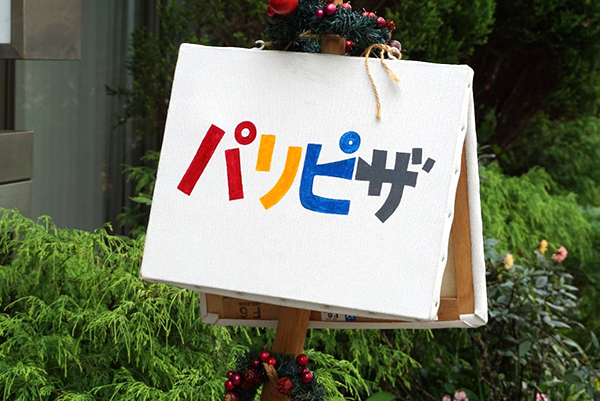 Mrs. Takahashi confessed she would like to open more days and for longer hours, but at the moment, with having to bring up a small child, this is a dream for the future. 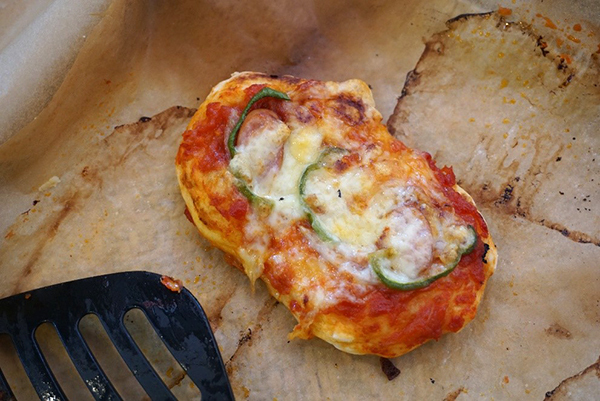 In the meantime, she is testing out a French-made specialised pizza toaster to give a bit more of that French flavour to her tricolour pizzas. And just in case you thought the opening time a bit short, there is a reason for this. 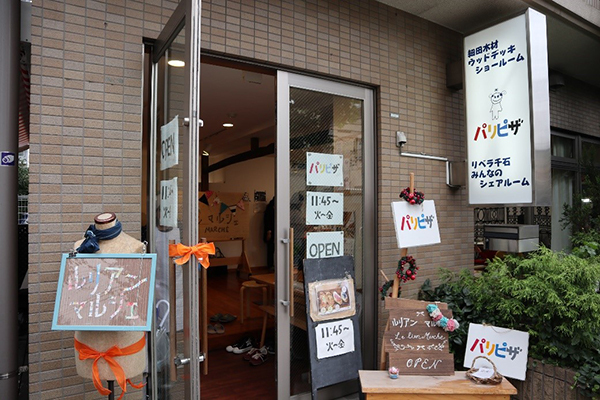 Paris Pizza also shares its premises with a number of groups engaged in social activities for people living in the Sengoku area. 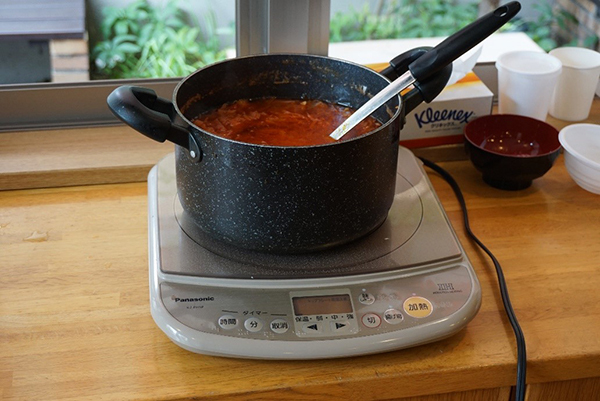 The day I visited, there was a rush to clear away the cooking implements and scraps from the pizza and borsch before a group of young children descended on the shared space for a ballet class. Besides Mrs. Tkachova’s yoga classes, depending on the day, there are also music therapy, painting, flower arrangement and English language classes. And on the 4th Thursday of every month a handicraft market (“Le Lien Marché”) is held on the premises.